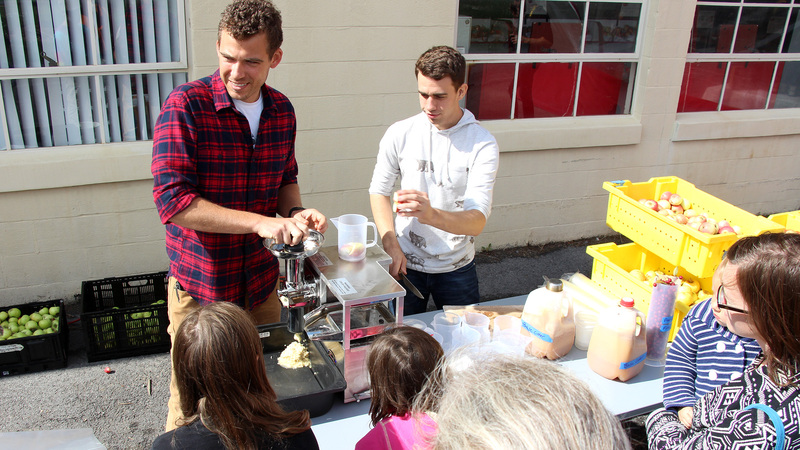 More than 150 people flocked to Cornell Orchards Sunday to sample cider from six local producers (Black Diamond Cider, Good Life Cider, Redbyrd Orchard Cider, Rootstock Ciderworks, South Hill Cider and Star Cider), tour cider apple research plots, and mix their own juice blends from apple varieties grown expressly to enhance cider flavor. 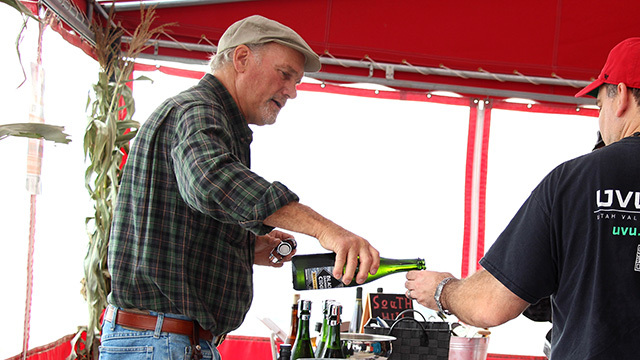 The event was part of Finger Lakes Cider Week, which continues through October 9. Horticulture professor emeritus Ian Merwin pours a sample of his Black Diamond Farm cider. 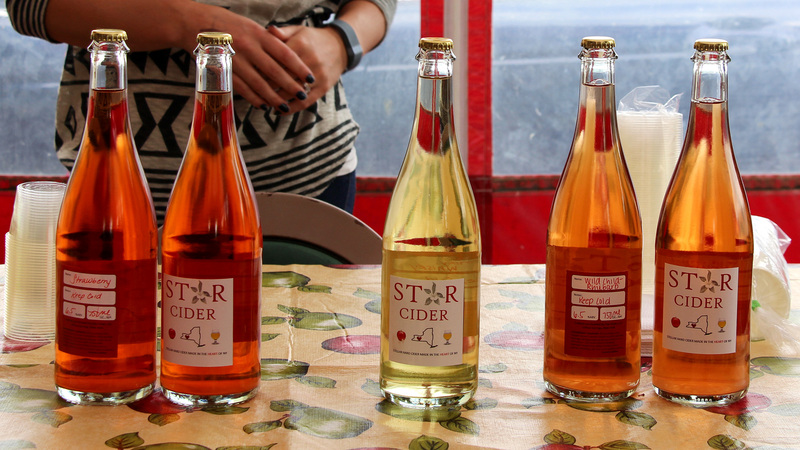 Multiple cider hues ready for tasting. 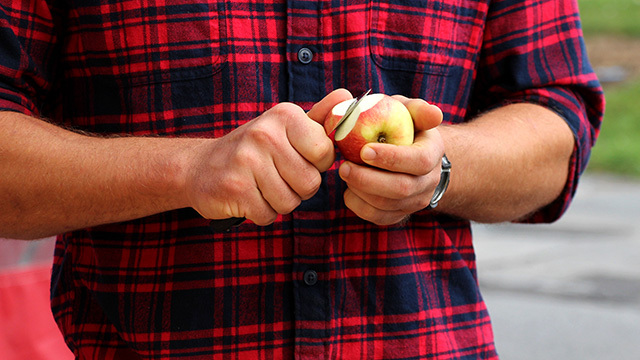 Slicing cider apples for sampling. Horticulture graduate students Adam Karl and Nathan Wojtyna juice cider apples for hands-on ‘make your own blend’ tasting activity. 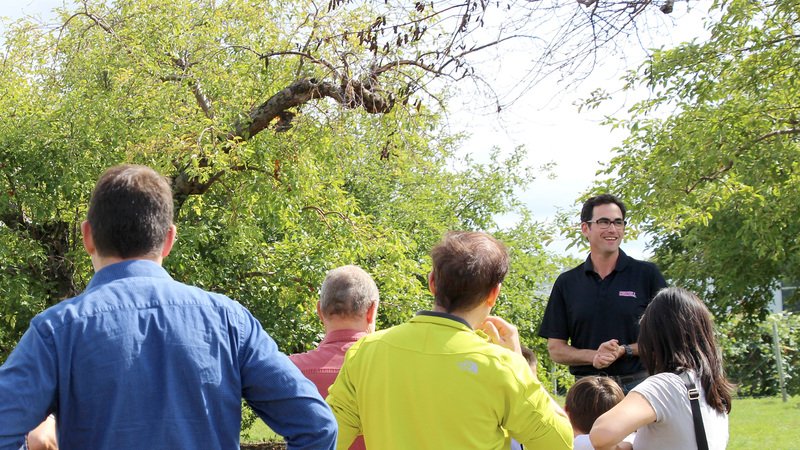 Assistant professor Greg Peck began the orchard tour in front of historic 100-year-old trees. 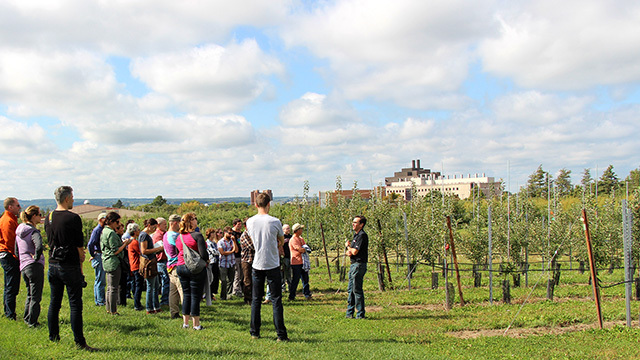 Later on the walk, participants viewed cider apple varieties newly established in a modern, high-density planting. 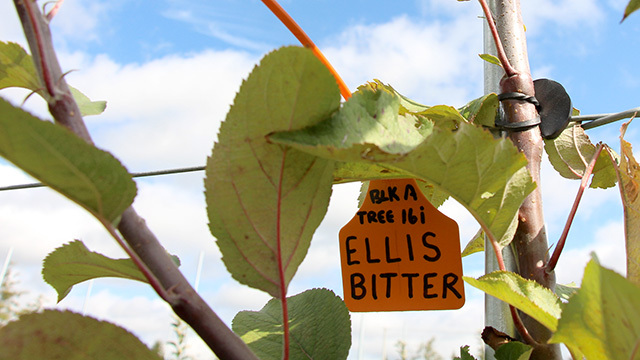 ‘ Ellis Bitter’ a traditional English cider apple, is one of the many varieties in the trial.